Vienna Acoustics THEATRO. Central Speaker. Two Vienna Acoustics exclusive XPP clear cone speakers and a silk-dome tweeter with a special hand-applied coating mounted in a beautifully exquisitely finished enclosure make up one of the most elegant and competitive central speakers on the world market. Animated by a spirit that has in the precise, human and balanced reproduction of sound its main attribute, Theater will satisfy both perfectionists of sound and aesthetics by integrating perfectly in the most sophisticated and committed environments. On the other hand, the regularity of its electrical behavior - faultless impedance curve, moderately high sensitivity - guarantees the user the optimum optimum synergy with a wide range of intermediate-power audio-visual electronics at the same time as an irreproachable behavior from the point of view space. 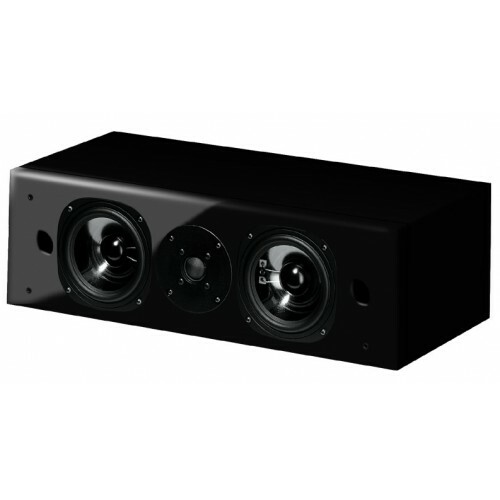 Bass reflex column: 2 channels / 3 speakers for the center channel. Amplification power: between 30 and 200 W continuous. Dimensions: 534x166x270 mm (W x H x D).